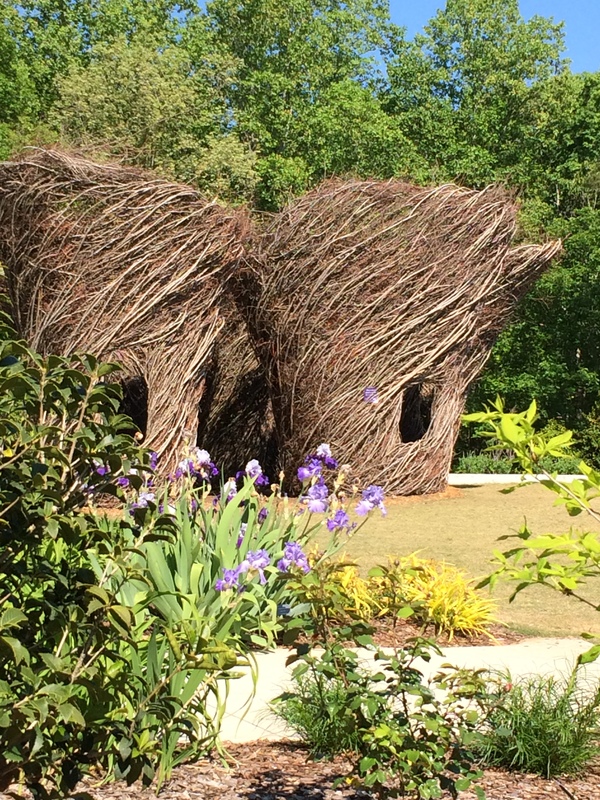 Artist Dougherty was in residence from late March until early April and created the unplanned sculpture onsite from locally harvested wood, branches, and twigs. 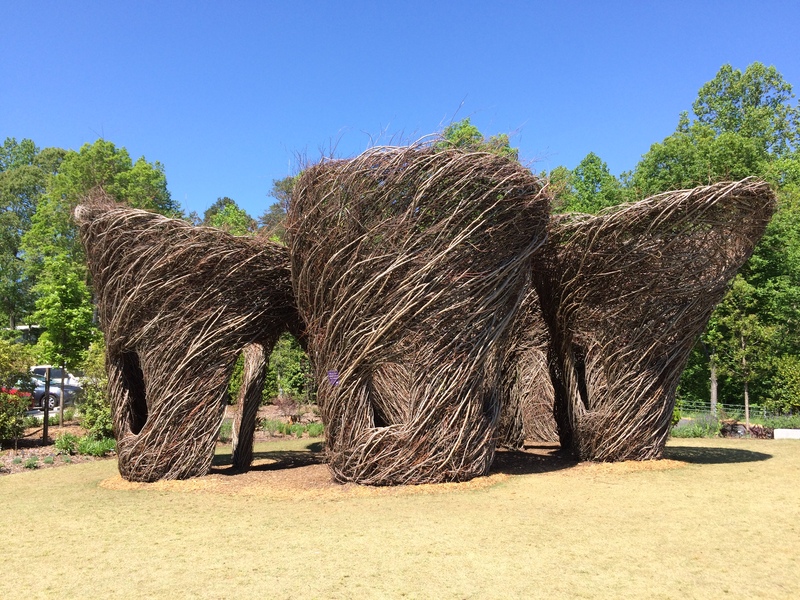 He’s completed over 250 such sculptures and has said about working with sticks that it is “something that stirs the sense of simple shelter.” Walking inside them stirred in me the same dizzying mix of wonder, comfort, and occasional chaos that is marriage. The sculpture creates a sense of both enclosure and openness, the whirling weave of the sticks suggesting at once movement and stillness. The outsize scale and organic simplicity places the experience somewhere between wandering beneath towering skyscrapers and exploring a cluster of fairytale cottages. From afar, they look almost like baskets, and like all art, they hold more than the substance of their making. They feel, inside, like giant sheltering nests, if nests had doors and windows. Where there is art, there is life. Long live whimsy! All definitions adapted from the Online Etymology Dictionary.